Small c1840 English sampler stitched by Ellen Bonner when she was only 8 years old. It’s a classic “schoolgirl” sampler with multiple rows of cross stitched alphabets including one with large capital letters worked in square eyelet stitches for a little variety. 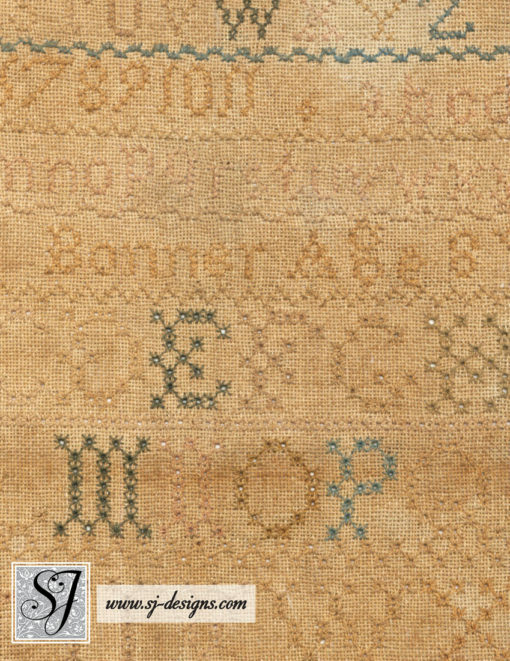 The ground fabric is a fine evenweave linen. 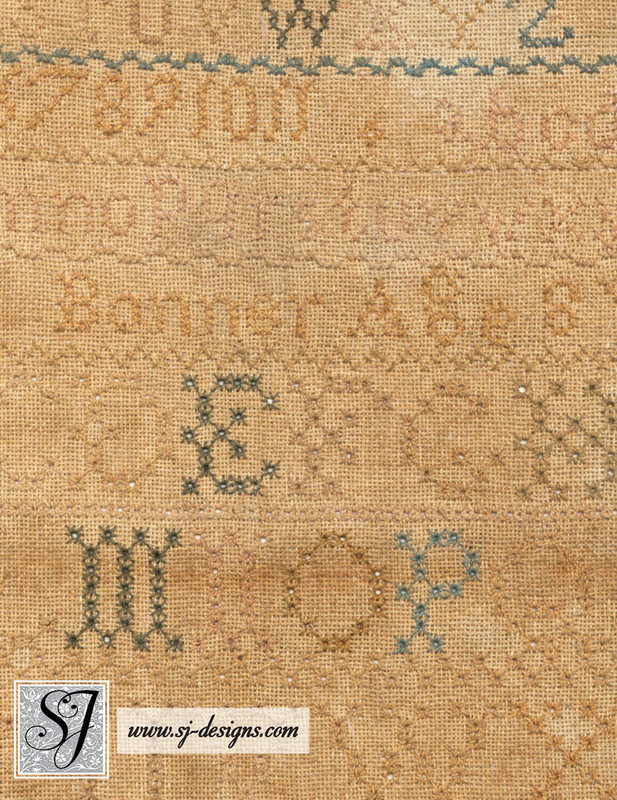 The silk threads have faded over the years so the appearance is softly muted with beige and green plus one turquoise blue letter “P” and a single red eyelet stitch. 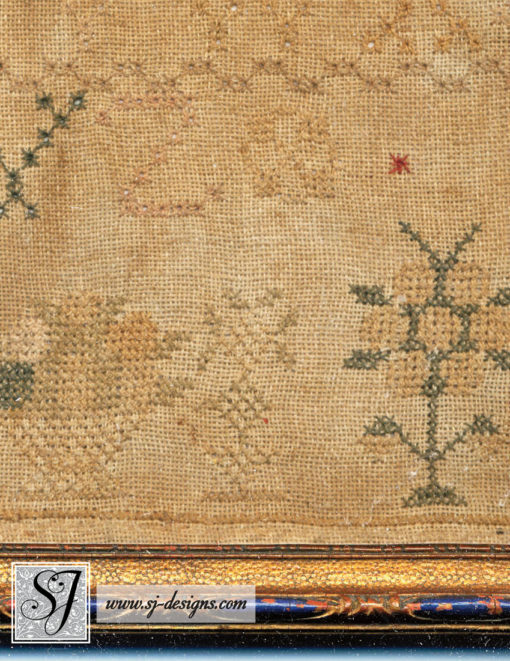 The basket of fruit at the bottom is a classic motif and it is flanked by rose trees. 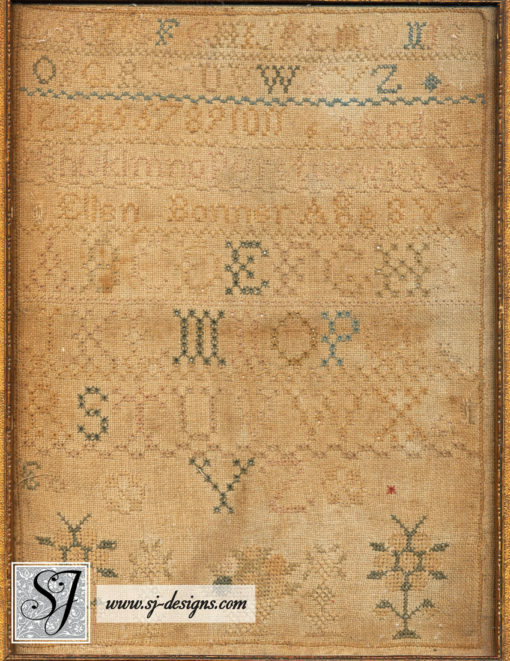 A single row of stitches borders the sampler. 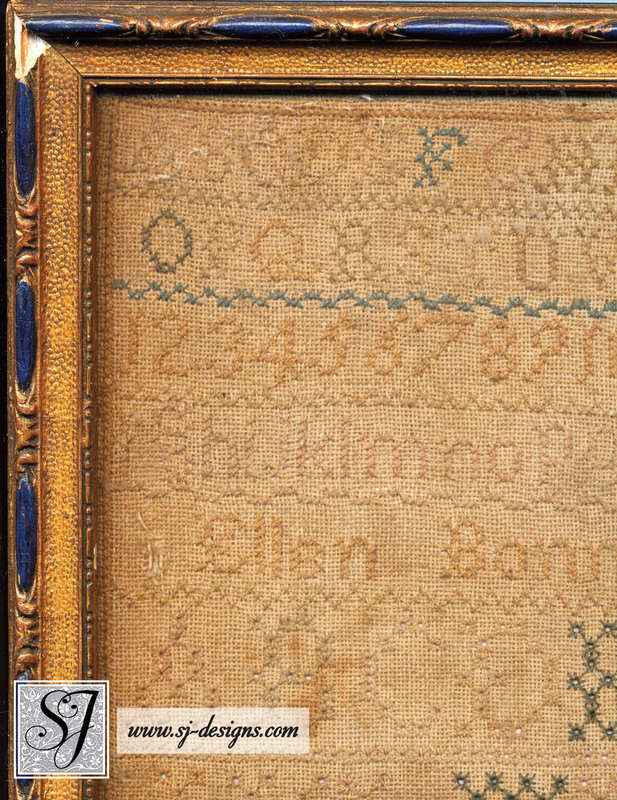 Condition is generally good, with some fairly light stains or discolorations and two mended holes– at the far left of the “E” in Ellen and near the outer border to the right of the large “X.” I have not removed it from the frame but the backing board is recent and loose enough to see that the fabric appears to have been trimmed about 1/3″ beyond the border, and has not been glued down as often happens. The frame is age-appropriate and well-suited; some of the gesso detail has been chipped off on three corners but it is solid and ready to hang as is. 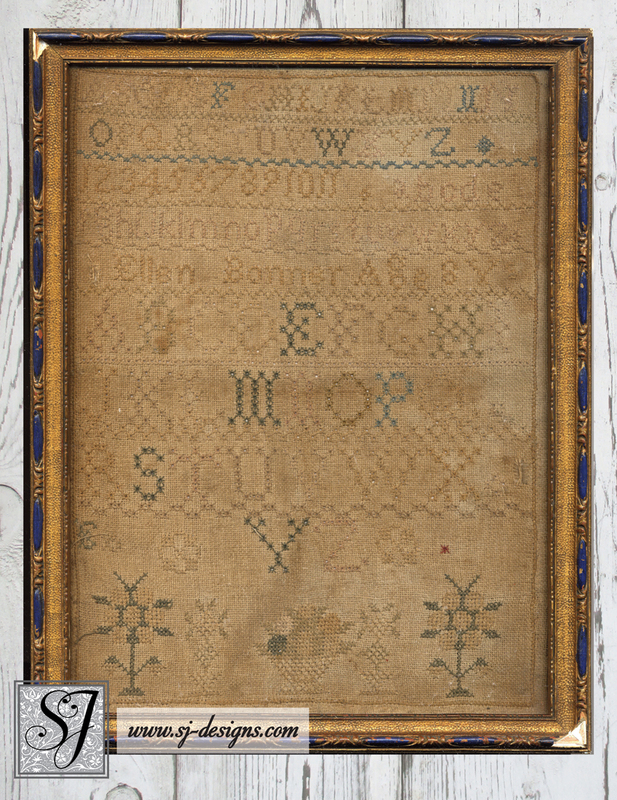 The frame measures 8-3/4″ wide by 11-1/8″ high with the sight area of the sampler measuring 7-3/8″ by 9-7/8″.